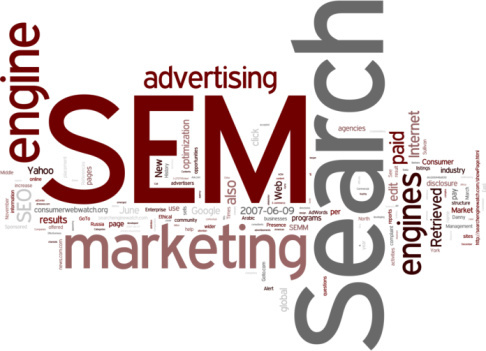 Search Engine Marketing (SEM) is an process of the generating traffic to your website. When a user searches a key phrase within a search engine, or visits a site relevant to your business, they can see targeted ads that link to your website. SEM is considered to be the most effective and efficient model of entire online marketing. Pay-per-click (PPC) is a form of targeted advertising used on search engines and their partner sites and networks. PPC accounts for the largest percentage of online media spend because it drives tangible, measurable results and can be optimised in real-time for positive ROI. With Search Engine Marketing (SEM), we monitor performance and find the right way to improve position and traffic volume with better ROI. Advertising side we test landing pages, keywords, descriptions and titles as well as different bid pricing and positioning. Our teams will look at ways to improve the page that customers are being driven to, in addition to conversion paths beyond the landing page.